Reflection: Our Lady heard the Word of God and put it into practice. She listened with a disciple’s ear and did the will of God. With Mary, and taught by her, we too pray, “Let it be done to me, according to your Word” (Lk 1:38). 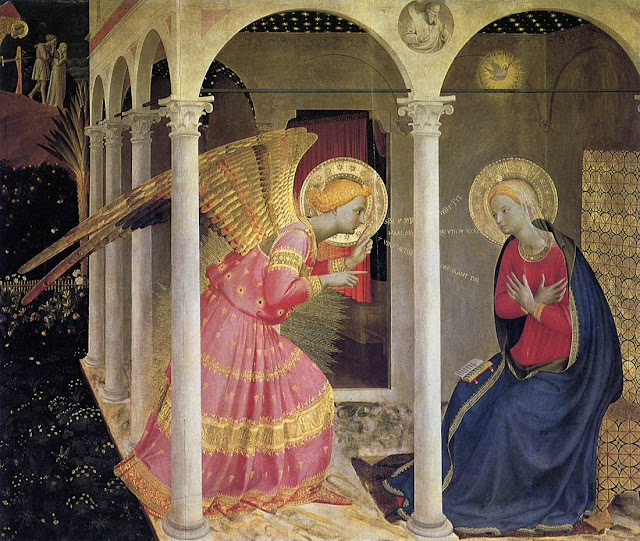 Prayer: Virgin Most Holy, Mother of the Word, intercede for us with your Son, that we may have the grace to seek nothing other than to do his will, and the courage to live our lives in the faith of him who became incarnate in your womb, Jesus Christ, our Lord. Intention: Let us offer with Mary every instant of our life and especially those important decisions which we need to make. Let us during our time of Pilgrimage and Novena with Our Lady of Walsingham, search out the silence so necessary to enter into deep prayer and relationship with Jesus to discern our way forward as individuals and as families. We pray for the Pope's intentions and for those of the Universal Church.